The best meals are not only packed full of flavor and healing ingredients; they’re also a feast for the senses. The rainbow of color and the fragrant herbs in this recipe make it a special sensory treat that you can feel good about enjoying every day or as often as you’d like. This salad is a wonderful option to serve up to family, friends or simply devour all on your own. Bell peppers contain an impressive amount of vitamin C with up to as much as six times as oranges. Bell peppers are also packed with vitamin A and beta carotene which can help boost the immune system, improve vision, and help protect the eyes against cataracts. They are excellent for helping to lower cholesterol levels and they contain anti-cancer compounds that can help lower the risk of prostate, breast, lung, and colon cancer. Bell peppers are highly beneficial for the brain and can help to strengthen memory and concentration skills as well as reduce brain fog and confusion. Cucumbers strengthen the adrenals and kidneys and flush viral neurotoxins out of the bloodstream. They hydrate the lymphatic system allowing for better cleansing. Cucumber hydration can slow down and even stop a fresh mononucleosis infection. Tomatoes contain their own variety of vitamin C that’s bioavailable to the lymphatic system and liver, supports the immune system to keep it strong against EBV, and prohibits viruses from traveling through the body with ease. When growing, tomatoes absorb and collect the moonlight’s frequency at night. This means that when consumed, tomatoes strengthen the thyroid’s radio-like frequencies, helping to create balance and homeostasis with all of the body’s organs and glands. Place all the ingredients in a large bowl and mix to combine. Taste and adjust seasoning. With all the superfood talk we have today, artichokes should be right there in the top 10 list. Artichokes are one of the most abundant sources of nutrition, filled with phytochemicals such as lutein and isothiocyanates; vitamins such as A, E, and K; amino acids; and enzymes. They are B12-enhancing stars, wonderful for bringing balance to the gut. Artichokes are also dense with minerals such as silica, which is one of the foundational minerals of our bodies that’s critical for our existence. Artichokes’ magnesium content gets attention, and rightfully so. There’s a bigger picture to what gives artichokes their sedative qualities, though: In addition to magnesium, artichokes contain sedation phytochemicals that calm all body systems, as well as a compilation of calming minerals. This mineral denseness corresponds with the dense organs and glands (such as the liver, spleen, pancreas, brain, adrenals, and thyroid) that artichokes nourish. Deep within these organs, we have foundational nutrient reserves, and artichokes are one of those foods that replenish our reserves to promote longevity. Artichokes are incredible for the pancreas, making them an ideal food for people with diabetes, hypoglycemia, and other blood sugar imbalances. They are also one of the best foods for reducing kidney stones and gallstones, as well as calcifications and scar tissue inside the body. Artichokes are remarkable for protecting the body from the radiation of X-rays, cancer treatments, dental treatment, and common exposure. Artichokes are meant to be taken seriously in our lives, and should be considered medicine—a medicine that tastes earthy, sweet, and delicious. Many people don’t bother with fresh artichokes, because they find their appearance off-putting and don’t know how to deal with them. Once you learn the art of preparing and cooking an artichoke, though, you’ll be bringing an amazing nutritional dish into your life. For anyone who is dealing with heart-related emotions—those who are downhearted, broken-hearted, ill-hearted, or coldhearted—artichokes are critical. Eaten on a regular basis, artichokes have the power to open up the heart chakra, and to ignite healing through this sacred channel. Sometimes we put up armor in order to protect ourselves. Each experience of being hurt or taken advantage of adds another layer between the core of who we are and the outside world. It’s a necessary act that we learn from nature—a survival tactic. Just like the artichoke, though, if you take the time to peel back our armor, you’ll find that we all have soft, sustaining hearts under- neath. Artichokes teach us that while connection doesn’t always come easily—sometimes it takes work to peel back the spikes—it is worth the work to get to the tender, true, and loving centers of ourselves and each other. * Consider having artichokes on the dinner menu four times a week for promising results. * The most nutritious way to enjoy artichokes is to steam them. Once they’ve cooked and cooled, peel off the leaves, dip them in your favorite healthy dressing, and nibble the “meat” from the base of each leaf. Next, scrape off the choke and enjoy the hearts. * If you buy prepared artichoke hearts that have a preservative such as citric acid, soak them overnight in water to get rid of this corn-derived irritant. * Enjoying artichokes for dinner helps your liver purge and clean itself in the early hours of the morning, while you sleep. For best results, try eating artichokes at 7 or 8 in the evening. * Try eating artichokes alongside romaine lettuce. Together, they help dissolve gallstones and kidney stones. Preparing artichokes can seem daunting. All it really requires is hot water and some patience. When steamed until tender, artichokes are just waiting for you to pull them apart and dunk them into a luscious sauce of honey, olive oil, and sage. Prepare the artichokes by cutting off the top quarter of each and removing the stem. Using scissors, cut the remaining tips off of each of the leaves. Fill a large pot with 3 inches of water. Place the artichokes in a steamer basket inside the pot. Steam the artichokes for 30 to 45 minutes, until the leaves are tender and easily removed. To make the dipping sauce, combine all the remaining ingredients in a small saucepan over high heat. Stir continuously until the sauce begins to thicken slightly, about 2 minutes. Remove from heat and serve immediately alongside the cooked artichokes. This simple and pretty iced tea is a delicious way to harness the healing properties of lemon balm. Lemon balm is a gift from God and Mother Nature to deal with our frazzling world; it’s wonderful for addressing digestive issues, nerve related problems, nausea, loss of appetite, and more with its soothing properties. Its bioactive phytochemicals such as undiscovered alkaloids calm the nerve receptors at the digestive tract so that the nerves become less sensitized and inflammation reduces. This makes lemon balm a valuable herb for stress assistance. And lemon balm doesn’t stop there. It is a heal-all, with a high contribution factor to almost every part of the body. Anti parasitic, antiviral, and antibacterial throughout the body, lemon balm fights the Epstein-Barr virus, shingles, and other herpetic viruses such as HHV-6. It’s an amazing herb for tonsillitis, which is inflammation caused by strep bacteria. Plus, lemon balm detoxifies the liver, spleen, and kidneys, and helps reduce bladder inflammation, which makes it a star for alleviating interstitial cystitis and urinary tract infections (UTIs). Raw honey is saturated with more than 200,000 undiscovered phytochemical compounds and agents, including pathogen-killers, phytochemicals that protect you from radiation damage, and anti cancerous phytochemicals. When drawn into cancerous tumors and cysts, this last class of phytochemicals shut down the cancerous growth process—meaning that raw honey can stop cancer in its tracks. Lemons improve digestion by raising levels of hydrochloric acid (good acid) in the gut. Tone the intestinal lining, cleanse the liver, and offer replenishing calcium to prevent osteoporosis when the pathogen that causes thyroid problems prompts nodule formation throughout the body, which uses up calcium stores. Lemons also balance sodium levels in the blood, which allows for electrolytes to become active and improves the neurotransmitter activity that has been hampered by the pathogen's neurotoxins causing brain fog and other neurological symptoms. Place the lemon balm in a tea pot or small pot and top with hot water. Let steep for at least 1 hour. Remove the lemon balm leaves and stir in lemon juice and raw honey. Place a couple lemon slices, raspberries and ice in each serving glass and top with the tea. Black bean hummus is not only creamy and delicious; it’s also packed with extra nutrients and healing properties from the black beans, avocado, and cilantro. This delightful dip is perfect served alongside an array of crisp, colorful vegetables for a family dinner, to serve at your next gathering, or to simply snack on over the day! The ingredients in this dip recipe, along with the crunchy vegetables, each have powerful undiscovered healing properties that I share more about in each of my books: Liver Rescue, Thyroid Healing, Life-Changing Foods, and Medical Medium. Black beans are packed with antioxidants and anthocyanins and are a fantastic source of calcium, magnesium, and zinc. They are an excellent immune strengthening food and contain anti-aging properties that help repair collagen fibers in the skin. Black beans are highly beneficial for Alzheimer’s disease, diabetes, neurological issues, cancer, fibroids, thrombosis, constipation, autoimmune disorders, and heart disease. Avocados are an excellent source of glutathione which helps to boost the immune system, strengthen the heart, rebuild the nervous system, and slow the aging process. The monounsaturated fats in avocados reverse insulin resistance, which helps to steady blood sugar levels. Cilantro is also very valuable for extracting heavy metals and other toxins from other body systems and organs, particularly the liver. In fact, it’s an amazing liver detoxifier in its own right. It’s one of the best adrenal support herbs, too, and wonderful for balancing blood glucose levels and staving off weight gain, brain fog, and memory issues. Cilantro is also antiviral and helps keep down levels of the Epstein-Barr virus, shingles, HHV- 6, cytomegalovirus (CMV), and other herpetic viruses in all their various forms, as well as HIV. Cumin helps the body absorb and assimilate nutrients much more efficiently. It also contains anti-cancer and anti-tumor properties and have been shown to significantly reduce the risk of stomach, colon, and liver tumors. It has also been shown to detoxify the body by boosting liver and kidney function. It is known to help benefit colds, flu, insomnia, asthma, pneumonia, chronic bronchitis, muscle spasms, and arthritis. Radishes contain organosulfides in which keep arteries and veins clean, creating a protective barrier in blood vessels so plaque doesn’t adhere to their linings. Radishes are incredible heart food, excellent for helping to prevent heart disease and other cardiovascular issues in part by increasing good cholesterol and lowering bad cholesterol. Meanwhile, the skin of the radish repels virtually every type of cancer, which makes these little root vegetables a go-to food for helping to prevent the disease. And we can’t forget that radishes are very restorative for the kidney, liver, pancreas, and spleen. Cucumbers have a fountain-of-youth effect, hydrating us at the deepest cellular level possible. Plus, cucumbers’ cooling effect makes them excellent at rejuvenation and especially effective at cooling a hot, stagnant liver. When eaten on a daily basis, cucumbers can reverse liver damage, dialing back 10 to 15 years of toxin exposure (including from heavy metals and pesticides such as DDT) and poor diet. Bell peppers are excellent for helping to lower cholesterol levels and they contain anti-cancer compounds that can help lower the risk of prostate, breast, lung, and colon cancer. Bell peppers are highly beneficial for the brain and can help to strengthen memory and concentration skills as well as reduce brain fog and confusion. Celery is a strongly alkaline food that helps to counteract acidosis, purify the bloodstream, aid in digestion, prevent migraines, relax the nerves, reduce blood pressure, and clear up skin problems. Celery contains compounds called coumarins, which are known to enhance the activity of certain white blood cells and support the vascular system. Tomatoes contain their own variety of vitamin C that’s bioavailable to the lymphatic system and liver, supports the immune system to keep it strong against EBV, and prohibits the virus from traveling through the body with ease. 1. If using dried black beans, drain the beans and discard liquid. Place them in a medium-sized pot and fill with water. Bring to the boil and cook for 45-75 minutes until very soft. Set aside 4 tbsp of the cooking liquid, then drain the beans and let cool. 2. Place the cooked or canned beans, avocado, cilantro, jalapeño, lime juice, garlic, ground cumin, ground coriander and reserved cooking liquid/water from the can in a food processor or blender and blend until very smooth. Season with salt and pepper. 3. Arrange prepared vegetable crudités on a platter. Spoon the hummus into a bowl and garnish with fresh cilantro. Serve with the crudités. This recipe is as much of a delight to the eyes as it is to the taste buds. Abundant in antioxidants, it is a wonderful option for a snack, meal, or dessert anytime of day. Feel free to vary this recipe with any fruits you wish. Witness a new colorful creation emerging every time you make it! Raspberries are a great full-body detoxifying food, rich in antioxidants that specifically help remove byproduct and toxic debris created by the invader that causes thyroid problems. Raspberries also tend to bind onto and remove impurities delivered to the intestinal tract by a liver burdened by this invader. Limes (and lemons) improve digestion by raising levels of hydrochloric acid (good acid) in the gut. They tone the intestinal lining, cleanse the liver, and offer replenishing calcium to prevent osteoporosis when EBV prompts nodule formation throughout the body, which uses up calcium stores. Lemons and limes also balance sodium levels in the blood, which allows for electrolytes to become active and improves the neurotransmitter activity that has been hampered by EBV neurotoxins causing brain fog and other neurological symptoms. Chia seeds are a great “brain food” and they are known to help improve memory, sharpen focus and concentration skills, and reduce brain fog and forgetfulness. Chia seeds are incredibly high in antioxidants and can help to prevent certain health conditions such as heart disease, cancer, and stroke. They also contain powerful anti-inflammatory properties which makes them a good food for those who suffer with rheumatoid arthritis, COPD, fibromyalgia, multiple sclerosis, Alzheimer’s disease, cardiomyopathy, chronic fatigue syndrome, and chronic nerve pain. Place the raspberries in a bowl and mash very well with a fork. Stir in the almond or coconut milk, maple syrup or raw honey, lime zest and juice and chia seeds. Set aside to soak for 2-3 hours, until thick and jelly-like. Divide the chia pudding between two jars or bowls and serve with bananas, raspberries and blueberries. Throughout the centuries, fruit has been known to be one of the most healing foods available to us on this planet. In the past couple of decades, however, you may have noticed a shift in our perception of bananas, apples, melons, and mangoes. Many people have begun to fear fruit so much so that they avoid it altogether. This incredible deviation from our historical worship of fruit is due to the lies that originate from the very top of our health industries in both conventional and alternative health. 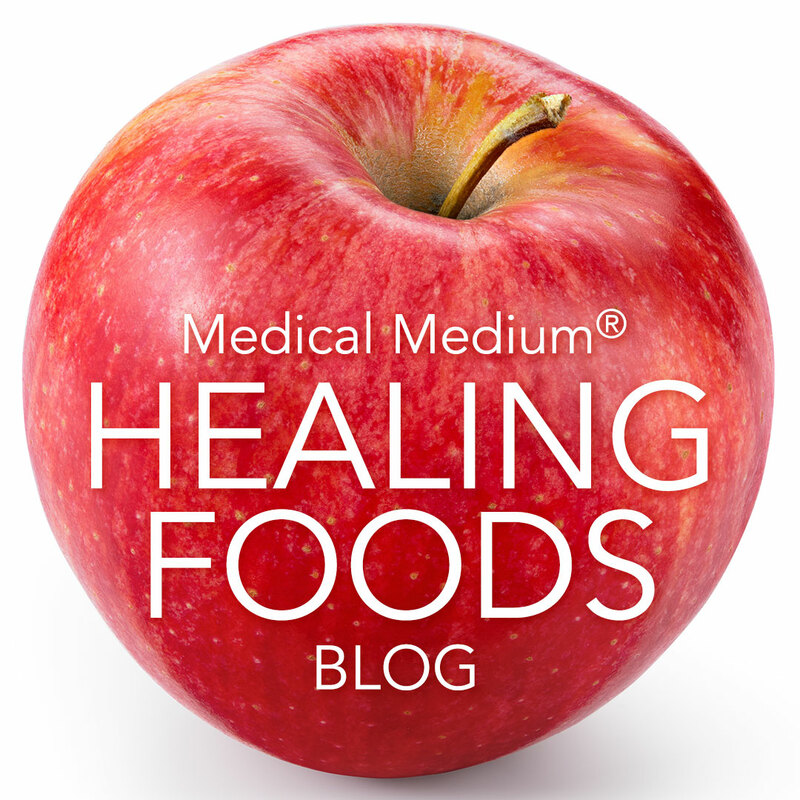 If you yourself are afraid of consuming fruit, let the information in this article set the record straight on the powerful healing properties of this food group and the countless critical benefits they can bring you and your family. Fruit is actually the most important food to eat when healing from disease; and yet many people are avoiding it intentionally because they have fallen prey to fruit fear propaganda, unaware that they are hurting their health by avoiding fruit. Three things are happening concurrently in this disturbing reality. First, there is more fruit available to more people than ever before. We are now able to import fruit from other countries during off seasons, and most people living in the Western world have access to at least some fruit year round. Many areas have access to an abundance of fruit all year long, something that was not available a century ago before the dramatic improvements to refrigeration and transportation systems, which has ultimately improved the lives of millions. Take advantage of the access we now have to fruit in abundance. Second, while more people around the globe have access to fresh and even organic fruit throughout the year, people are consuming less fruit than ever before. This is due to hidden agendas and misinformation that have warned us to stay away from fruit because of the sugar content, the misleading and inaccurate tests that tell some they are fructose intolerant, and the heavy focus on trendy high-fat diets that are claimed to be healthy. Supermarkets have mountains of gorgeous fruit in February that customers are passing by because someone told them fruit should be avoided. Third, people are suffering from more chronic illness today than ever before. More and more people are going to their doctors and practitioners due to chronic fatigue, insomnia, brain fog, vertigo, depression, anxiety, heart palpitations, acne, gallstones, kidney stones, arthritis, Lyme disease, lupus, multiple sclerosis, ALS, parkinson’s, candida, eczema, hives, diabetes, acid reflux, and other unexplained symptoms and conditions. My work is dedicated to helping people heal from symptoms and conditions that are mysterious to their practitioners with the undiscovered truth about what’s behind these and countless other mystery chronic illnesses and symptoms. But research and science is decades behind where it should be in order to get people to their greatest sense of health and more and more people are becoming sicker. Over the past several years, fruit has been blamed for this rise in illness and symptoms. However, people are eating less fruit and getting more sick. There is a movement at the top of our health industries, both conventional and alternative, that is intentionally trying to steer you away from eating fruit, even though fruit has been known to be healthful and necessary for our well-being since the beginning of time. It may be difficult to believe that those in the medical world do not have our best interest in mind. However, the medical industry is just that: an industry. As much as we try to think of the entire world of health care as pure in motive, it is still a business, and a massive one at that. When money is involved, especially to the degree it is in the medical industry, motivations are skewed and greed creeps in. If the population eats less fruit, the medical industry makes more money from pharmaceuticals, procedures, and care that suddenly become vastly more necessary due to the increase in chronic illness. Please know that I am not talking about the incredible doctors, surgeons, and carers we are blessed to have. Doctors and health practitioners of all kinds are life-savers and compassionate healers. They are highly intelligent people with the best of intentions and are unfortunately trapped in an industry that runs on hidden agendas. Fruit, on the other hand, has very little money involved. It is not an industry with lobbyists, interests groups, and heavily funded research profiting off of illness. In fact, this is why there is very little funded scientific research surrounding fruit. No one wants to fund a study on bananas because there is no money in bananas. There’s only money lost in the medical industry due to consumers eating bananas and as a result improving their health and having less medical dependence. And, unlike pharmaceutical companies and interest groups, banana farmers do not have the money to fund their own scientific research in order to convince the population to eat more of their product. It is uncomfortable to think about science and research in this way, but it is the reality we are dealing with that is dramatically and negatively shifting the way and types of food people are consuming. As a result, people are sicker than ever. Another major factor in the anti-fruit movement is the individuals that have been intentionally perpetuating these fruit fear lies. The idea that bananas are bad for you stemmed from one person originally, as did the idea that you should stay away from watermelon, apricots, and oranges. This person was about to release a line of fruit pills, which consumers would not buy if they were eating fruit in its natural form. This person marketed the product as a healthier alternative to fruit, which of course wasn’t true. Sadly, many people believed the clever marketing and a wildfire of misinformation started to spread. It’s easy to still be affected today by this early attack on fruit that happened in years past. The internet has since been aflame with the idea that avoiding fruit is the healthiest choice, that fruit causes health problems and weight gain, and that the sugar in fruit is the same thing as the sugar in cookies and candy. In reality, nothing could be further from the truth. Fruit is the healthiest and most healing food available to us and it’s essential for anyone suffering with a chronic illness or symptom. The anti-sugar movement has convinced people that cutting sugar from your diet in the forms of candy, soda, and frosting, should also including cutting out peaches, pineapple, and strawberries. The amount of work that has been put into the anti-fruit movement has been rewarded, and millions of people around the world are now convinced fruit is unhealthy. It is more than easy to fall for the idea that fruit could be dangerous, especially because the health industries and magazines create so much confusion around the idea. And the strongest tactic the anti-fruit movement takes is fear. They scare you with poor science and calling diets with fruit incorporated in them risky. Many people are not sure on the matter and have simply decided to avoid fruit just in case what they are currently being told is true. The trendy high-fat diets of today in particular perpetuate this mass wave of fruit fear, placing fruit and processed sugar in the same basket instead of understanding and differentiating between the two. As I share in my Fruit Fear chapter in Medical Medium, fruit contains water, minerals, vitamins, fiber, and antioxidants along with its critical glucose. This is not even remotely the same as the processed and damaging sugar found in a piece of candy, chocolate cake, or ice cream cone that has no nutrient value. The reason this issue is so important is because fruit is in fact the most important food group to consume in order to protect you and your loved ones from chronic illness and a lifetime of unnecessary suffering. As I will explain further below, fruit not only prevents illness, it slows down aging, kills off pathogens, and heals our bodies on a cellular level. When we are told to fear fruit, we are essentially being told to avoid the very thing that will bring us the most life. There is so much misinformation surrounding fruit that is essential to debunk for the sake of yours and your family’s health and well-being. There is a rumor circulating that we should avoid eating fruit out of season that has been shipped from another part of the world in which the fruit is in season. This is one of those lies that has perpetuated fruit fear. While a melon may not be in season in your part of the world, it was grown while in season in another part. This means the fruit contains all of the same vitamins and minerals as when you purchase it during your local melon season. If you can get your hands on fruit that is not in season for your area, do not be afraid of it because it is a miracle that it is in your store. In fact, this is a good reminder of the old times centuries ago in which kings and queens would have fruit delivered from exotic lands in order to keep eating fruit throughout the year to stay healthy. Royalty would have access to fruit that the peasants would not. Yesteryear kings and queens lived for much longer than peasants because of the fruit they consumed. Undoubtedly, the ample amounts of vitamin C they consumed from fruit kept their immune system stronger. Let this be a way for us to remember how grateful we should be that we have access to fruit all year long. Another fear surrounding fruit is that the fruit sold in stores is not healthy because it is not picked when ripe. However, the truth is that fruit can ripen when it is picked within the appropriate window of time. Growers and farmers are very knowledgeable about the fruit they have spent lifetimes learning to nurture and harvest. Fruit that is picked unripe, as long as it is within the right window, will ripen correctly off the tree or vine and contain all of the same nutrients as when it is picked when fully ripened. Unfortunately, this misinformation has deterred people from consuming the fruit that is available to them in stores. If you have fruit on your counter and it never ripens, which is extremely rare, it means it was picked too early and you obviously wouldn’t eat it. When a piece of fruit like a banana turns from green to yellow and spotty, that means it was picked within the right window and will deliver all of the same benefits to you as if it ripened on the tree. Many people avoid fruit due to hybridization; however, this is another example of where information went bad. Hybridization is not the same thing as GMO (genetically modified organisms). When a fruit is GMO, that means the plant was altered on a genetic level, and it is one of the most devastating things that is happening to our food right now. Thankfully, the anti-GMO movement is doing an incredible job at ensuring non-GMO foods get labeled appropriately so consumers can start to be aware of this issue, which has disastrous effects on our health. Hybridization, on the other hand, is completely different. We have been conducting hybridization for centuries, as far back as 3,500 years ago in China; and it is a perfectly natural process given to us in order to discover all of the varieties of fruits and vegetables. For example, when you create a new kind of apple or cross a plum with an apricot, this is not a genetic modification process. In genetic modification, genes from unrelated species are isolated, collected, and tweaked in order to produce a certain desired outcome. The processes of hybridization, on the other hand, include cross-pollination and grafting, which are perfectly natural and should not be considered dangerous at all. Furthermore, hybridization opens up new spheres of nutritional and phytochemical possibilities. Newly created fruits from cross-pollination and grafting create undiscovered antioxidants and anthocyanins that can benefit us greatly. In fact, hybridization is how we have come to where we have. It is how our own species has made it this far. A very long time ago, there was only one kind of apple. But through hybridization, we have thousands of varieties of apples growing around the world today, which has created more and more nutrients that are helping to keep us alive. When we hybridize, the new kind of plant changes in a way we cannot even perceive. Some roots go deeper, some roots stretch wider, some plants draw up different nutrients from the soil, and some absorb the sun in a different way. All of these characteristics not only bring a different flavor and appearance to the new fruit; it also brings that new platter of nutrients to the table. There are so many examples of the beautiful varieties of fruit we can now enjoy thanks to hybridization. The boysenberry is a hybrid between a blackberry and raspberry. The meyer lemon is a hybrid between a lemon and a mandarin. The tangelo is a cross between a tangerine and a grapefruit, or a pomelo. There are many nutrients that are not necessary for our survival, but we need vitamin C. We cannot live without it. It is absolutely necessary in order to continue living. And what are the highest vitamin C sources? All of the different fruits available to us. The question will probably be asked, if this were true, how could someone who never eats fruit be able to continue living? The answer is that a lot of people accidentally get vitamin C without realizing it because many processed foods are fortified with synthetic vitamins, or they take multivitamins that contain a small amount of vitamin C, or they simply eat a piece of fruit randomly from a blueberry muffin, slice of apple pie, or snack on an apple on occasion. One of the biggest reasons fruit is so important to eat is because it stops pathogens in their tracks. So many people have viruses and bacteria that cause the mystery symptoms and conditions I mentioned above. This is information I brought to light in my books, Medical Medium, Life-Changing Foods, Thyroid Healing, and Liver Rescue, and that I’ve shared with tens of thousand of people I have helped in their healing process heal over the past few decades. But the degree to which pathogens are responsible for chronic illnesses and symptoms and how many mutated strains and types there are isn’t yet known by medical science and research. In the midst of trying to heal from these conditions, fruit is our best friend because it stops viruses and kills bacteria. For example, when someone has streptococcus, which is the true undiscovered cause of SIBO, sinus pain and congestion, otitis media, UTIs, intestinal disorders, sore throats, styes, and cystic acne, the bacteria is often living in various parts of the body. When you eat fruit, it kills off the bacteria and begins to remove it from the body. However, fruit often gets the blame for the conditions mentioned here, when it is actually a pathogen that’s taken up residence and is causing the issues. When people have SIBO, they are told to stay away from sugar, including all fruit. Of course, sugar in the form of high fructose corn syrup should be avoided because this will wreak havoc on your intestinal tract, especially if you are dealing with something like SIBO. Fruit, though, should be eaten in abundance to kill off the streptococcus causing the condition. We all hear that fruit has antioxidants, but what does that mean? In short, fruit stops and prevents oxidation, which is the process that ages us. Additionally, fruit prevents toxic heavy metals, which almost all of have some of in our brains (find out how this happens in Medical Medium,) from oxidizing. When toxic heavy metals oxidize, it creates a poisonous chemical pool that contaminates brain cells and lowers electrical impulse activity. This oxidation process can lead to many different neurological conditions, including Alzheimer’s, ADHD, memory loss, parkinson’s, depression, anxiety, bipolar disorder, and more. Fruit, wild blueberries especially, help prevent this oxidation and stop the brain from rotting in response to these poisons. Fruit helps not only neurological conditions, but every single one of the thousands of symptoms and illnesses people are suffering with. Sugar, while it may sound like an enemy to avoid because of our conditioning, actually runs every single cell in our body, especially our brain. It’s just a matter of having the right kind of sugar that’s found in fresh fruits and high-carbohydrate vegetables like potatoes, sweet potatoes, and winter squashes. You might have heard that the brain is made up mostly of fat. This is a trendy theory that is popular today, but also inaccurate. In truth, the brain is made of stored glycogen, which is primarily glucose. When you experience brain fog, it typically means your brain is not getting enough sugar to keep it running properly. In fact, if you do not have sufficient glucose getting into your cells, you will die. It is absolutely essential to keep us going. Fat, on the other hand, is non-essential for survival. If you try to cut out all sugar and carbohydrates from your diet entirely, your body will use up every bit of its glucose reserves to keep you alive but eventually you either will not live long or you will soon cave and find yourself “giving in” and eating a chocolate bar in the middle of the candy aisle before you make it to the register, pinching sweet potato fries from your friend while you eat your lettuce wrapped grass fed beef burger, or find yourself craving a glass of wine or beer at the end of each day (all of which contain sugar, although not the healthy kind.) We crave sugar and sweet things for a reason. It’s also critical to know this undiscovered truth: every nutrient we need can not be absorbed unless it is accompanied by glucose! That means that no matter how many supplements you eat or how organic or pure your food is, unless you have enough glucose to deliver the nutrients into your cells, they won’t be helping you. I discuss this in much more detail in my book Liver Rescue. Many people who blame fruit for pain, discomfort, or any of the conditions or symptoms listed above (or others that may not have been listed) may simply have too much fat in their diets. This is also the case for those who think they cannot eat fruit due to “fructose intolerance.” A high-fat diet does not necessarily mean one of the trendy diets calling itself low-carb. Almost any diet can be too high in fat. In fact, the Standard American Diet (SAD) is extremely high in fat without meaning to be. Hamburgers, french fries, bacon, yogurt, milk, cheese, and chicken breasts, oil, foods consumed regularly on the SAD, have very high fat content. If someone is eating a low-carb diet, they may not realize they are actually eating high amounts of fat. Even though these diets claim to be high in protein, it’s actually impossible to eat the high-protein foods people are told to eat without avoiding the fat. Even chicken breast without the skin is loaded with fat. Additionally, if you eat a vegetarian diet, you may still consume a great deal of dairy products like cheese, milk, yogurt, kefir, sour cream, ice cream, and butter, all of which are full of fat. A high-fat vegan diet is also very common with too much consumption of nuts, seeds, avocado, coconut, and oils. The reason too much fat in the diet is problematic with fruit consumption, and the reason people may point the finger at the fruit, is that the sugar has nowhere to go. When your blood is filled up with that much fat nonstop, even the healthiest kinds, your liver becomes congested with fat cells from year after year of consuming a high-fat diet. Your liver has to exhaust itself creating the bile composition and amount necessary to help prevent your high-fat diet from hurting you, which is an unknown truth I explain fully in Liver Rescue, and your liver starts to break down and its reserves begin to diminish. Over time, this leads to weight gain and a whole host of illnesses and symptoms. Additionally, the linings of your intestinal tract and the bottom of the stomach become lined with fat and eventually the fat goes rancid. The fat hardens on the linings as it is putrefying; however, the liver’s bile is not strong enough to clear out the the fat so it continues to rot and stay exactly where it is, which also causes health complications. Then when you try to eat some fruit, such as an apple, the pulp, skin, and pectin start to move the rancid fat and push it down. When this happens, you may begin to detox and purge these fats and other toxins, possibly causing you to experience discomfort, acne breakouts, indigestion, headaches, rashes, or other symptoms. If you do not detox, you may still experience discomfort because you are feeling the old fat lining move out, which is not always pleasant in the intestinal tract and stomach. However, you cannot blame the fruit for doing what it is meant to do, which is helping you to stay alive and heal you. You also can’t blame fruit for the discomfort caused by the fat still sitting in your intestine from a lifetime of knowingly or unknowingly eating high fat foods which can lead to heart attacks, liver disease, diabetes, heart disease, and so much more. Many people believe they are not allowed to eat fruit because they are allergic to sugars and intolerant to fructose, according to a test they took at the doctor’s office. However, in this case, it is also the fat to blame, and not the fruit. When old fat is putrefying as it sits in the linings of the intestinal tract, or new fats are constantly filling the bloodstream every day, any sugar in the fruit you eat will be very difficult to assimilate because the sugar cannot absorb past that thick layer of fat. Thus, a breath test will indicate you have sugar in your breath because the sugar was unable to go anywhere. It was blocked by all the fat. Furthermore, the fructose intolerance tests administered today are simply inaccurate. I have seen people who are labeled as fructose intolerant but have no problem eating fruit. In fact, when they do eat fruit, they see their health problems go away. Fructose intolerance tests pick up on any sugar that is present in the body. Even if you ate a chocolate bar five days before, this can trigger the test. Something that almost always triggers the test is the lactose in dairy, such as a piece of cheese, which is actually loaded with sugar. For this reason, the test simply isn’t an accurate tool in the first place and is inherently flawed. Another test that puts fruit fear in people is an enzyme test that concludes whether someone is Hereditary Fructose Intolerant (HFI). If someone is told they are HFI, the doctors cannot find an enzyme in the liver called aldolase b. However, do not be confused. Everyone has this enzyme in their liver, but it is diminished when the person eats a high-fat diet, as are hundreds of other enzymes. If you begin to eat plenty of fruit and lower your fat levels, this enzyme will return. In truth, it is not possible to have a real fructose intolerance. The tragedy is that the thing being taken away from people, fruit, is the very cure for not having aldolase b. HFI is a neglectful diagnosis. When you bring fruit back into your diet and lower your fat intake, no matter what kind of diet you subscribe to or whether you’re paleo, ketogenic, vegetarian, or vegan, you will be able to experience healing in the liver and your so-called fructose intolerance can disappear. Fruit feeds every single one of your cells with vitamins, nutrients, minerals, and phytochemicals. No matter where your family line is from, fruit is meant for your consumption. Fruit from all over the world provides the most amazing healing benefits that people are missing out on due to false information about fructose intolerance. Currently people are developing a fear of tomatoes, even though tomatoes are one of the most amazing foods for us to eat. Tomatoes contain a special kind of undiscovered vitamin C that stops at least 20 different kinds of cancer. They also prevent fibroids, cysts, tumors, lipomas, and nodules on the thyroid from growing and are antiviral and antibacterial. Do not believe the misinformation surrounding tomatoes that is so popular today. Tomatoes are not dangerous nor should they be avoided. Tomato has always been scrutinized because it’s classed as a nightshade. The new trend of the day suggests we should remove seeds from the tomato, which isn’t helpful. This trend stems once from well-meaning experts who don’t know what causes thyroid and chronic illnesses in the first place. They are offering food advice based on outdated studies that have a “thumb on the scale” that have influenced their outcomes, which in turn can hinder healing. Before you believe information someone is about to tell you, make sure you think twice. Fruit is not the enemy. In fact, it is the exact opposite. Fruit is our savior and I have seen it save peoples’ lives time and time again. For example, bananas are another fruit that has a bad reputation due to the constant barrage it experiences from the anti-fruit movement. But I have seen people with crohn’s disease who were suffering for years and were about to get major surgery start to eat ripe bananas and celery juice and their symptoms completely healed. The most ironic part about people being afraid of fruit, due to the misinformation as well as the discomfort they may experience when too much fat is in their diet, is that the very thing they are avoiding is what is going to make them feel better. Fruit will not make you fat; it may help you lose weight. Fruit does not cause acne; it helps heal you from the bacteria that causes it. Fruit does not cause indigestion; it is running into the fat lining the interior of the intestine. Fruit does not cause diabetes; it is the fat that is blocking the sugar from getting into the cells and creating insulin resistance. Fruit does not cause brain fog; it can help you have a clear mind because your brain actually runs on sugar and is made of glucose. When it comes to fruit, there truly is nothing to be afraid of. It is your ally, your best friend, your healer, and your savior. No matter what diet you subscribe to, begin lowering your fat intake and start to bring more fruit into your diet every day. You can take it as slowly as you need. If you feel wonky or symptomatic, try dropping your fat intake even lower so you can bring more fruit in. Take it one step at a time and one day at a time. You can also read a comprehensive explanation of Fruit Fear and why fruit is so important for you in my book Medical Medium. In this day and age, our livers are more burdened than ever before in history. With toxins in our environment and foods that stress our bodies, sluggish and fatty livers are becoming rampant. While certain liver-cleansing techniques have become trendy, a handful of cherries can do so much more. Cherries are an amazing way to revitalize this organ; they’re the ultimate liver tonic, cleanser, and rejuvenator. Cherries promote healthy hemoglobin and are also anti-cancerous, specifically effective at addressing non-Hodgkin’s lymphoma, melanoma, and glioblastoma (a type of brain tumor). Cherries sharpen the mind by purifying the bowels—they’re better at alleviating constipation than prunes! They cleanse the bladder, too, and help alleviate spastic bladders and bladder prolapse. Plus, cherries are one of the best endocrine-system-boosting foods, stimulating or suppressing the appetite as needed. If it’s weight loss you’re after, cherries are your new best friend. In the world of minerals, we’re familiar with the concept of macrominerals, which our bodies rely on in higher amounts, and trace minerals, which are just as critical to our functioning, though we need them in smaller doses. Cherries, for example, are a wonderful source of trace minerals such as zinc and iron. As anyone with anemia can tell you, a deficiency in iron is not small potatoes just because iron is a trace mineral—it’s vital no matter what. The same concept is true with amino acids, though science has yet to focus on this. In addition to the amino acids we’re familiar with, there are minute, trace forms of amino acids that become cofactors to their macro forms—and cherries are rich in both macro and trace amino acids (including threonine, tryptophan, and lysine) that specifically work in tandem with the hormone melatonin to give your brain and body amazing stress relief. When enhanced like this, melatonin also acts as an antioxidant to help protect the brain from Alzheimer’s, dementia, and brain tumors. Phytochemical compounds and agents in cherries are amazing for removing radiation and repairing myelin nerve damage. Women receive particular benefit from cherries’ cleansing properties: cherries remove toxins from the uterus and the rest of the reproductive system and help to reduce fibroids and ovarian cysts. If you want to cheer up friends or family members, take them some cherries and you’ll notice they’ll be tickled pink. If you or someone you know never feels satisfied with circumstances, let cherries work their magic of contentment. If you ever worry about being speechless, add cherries to your diet and you’ll feel the conversation flow. And if you’re feeling empty and deserted, cherries can point your feelings in a new direction. Simply from looking at a bowl of cherries, joy instantly enters into a person’s being. Cherries ignite enthusiasm and create positive excitement. They’re an amazing fruit to keep someone lighthearted. Cherries teach us patience. If you rush while eating a cherry—if you don’t take care to bite into it carefully—you may find that you injure yourself on the stone inside. In this way, cherries teach us to take our time, to be mindful and considered in our actions so we minimize mistakes and pain. * Cherries are so cleansing, detoxifying so many impurities, that they serve us best in limited quantities. When eating this fruit, don’t be so distracted by the delicious flavor that you forget to listen to your cutoff signal. Consume cherries in small servings portioned out daily, rather than in a large serving at one sitting. * When selecting red cherries at the market or grocery store, look for the darkest ones. These deeper shades have the most healing benefits. If the red cherries you’re looking at are colored too lightly, it means the soil of the cherry tree didn’t have the optimal level of minerals. In this smoothie, the sweetness of the cherries combines with the creaminess of the bananas and a pop of tart lemon to surprise and delight you. If people knew all the potent healing properties of celery juice, it would be widely hailed as a miraculous superfood. Celery has an incredible ability to create sweeping improvements for all kinds of health issues. We’ll get to more tips in a moment. First, let’s look at what makes this tonic a miracle juice. Celery juice is teeming with powerful anti-inflammatory properties. This means it’s highly beneficial for people who suffer from chronic and mystery illnesses, including conditions labeled “autoimmune.” Hashimoto’s thyroiditis, rheumatoid arthritis (RA), fibromyalgia, myalgic encephalomyelitis/chronic fatigue syndrome (ME/CFS), Lyme disease, migraines, vertigo, celiac disease, irritable bowel syndrome (IBS), diabetes, psoriasis, eczema, acne, lupus, Guillain-Barré syndrome, sarcoidosis, Raynaud’s syndrome, Ménière’s disease, gastroesophageal reflux disease (GERD), gout, bursitis, bloating, intestinal cramping, distention, acid reflux, vertigo, constipation, restless leg syndrome, tingles, numbness—all of these symptoms and illnesses are mysteries to medical communities, even though they have names. Their true causes are not yet known by medical research and science. Celery is perfect for reversing inflammation, because it starves the pathogens, including unproductive bacteria and viruses such as Epstein-Barr (EBV), that create it. As I reveal in my book, Thyroid Healing: The Truth behind Hashimoto’s, Graves’, Insomnia, Hypothyroidism, Thyroid Nodules & Epstein-Barr, EBV is the actual cause of Hashimoto’s thyroiditis and many other diseases that medical communities call autoimmune. (More on the true cause of autoimmune conditions soon.) These pathogens lead to hundreds of different symptoms and conditions that go misdiagnosed. Celery is able to starve pathogens, plus it contains a multitude of undiscovered mineral salts that act together as an antiseptic. When these powerful mineral salts make contact with viruses such as Epstein-Barr, HHV-6, and shingles; bacteria such as Streptococcus; and other pathogens—troublemakers responsible for chronic illness—the salts begin to break down the pathogens’ cell membranes, eventually killing and destroying them. If you’re worried that the sodium in celery is a problem because you’ve heard that “salt is salt,” know that the sodium in celery is not just salt or the basic mineral sodium. Medical research and science have not yet discovered the different varieties of sodium in celery, nor how beneficial they are. Celery’s naturally occurring sodium actually helps stabilize blood pressure, bringing it down when it’s too high and up when it’s too low. Further, it won’t dehydrate your organs—instead, it clings to toxic, dangerous salts from poor-quality foods and helps draw them out of your body while replacing them with undiscovered cluster salts. These subgroups of sodium bond together as one and are infused with celery’s other critical chemical compounds and information that’s highly active in healing the body. Science has not yet deconstructed or studied these cluster salts. Eventually, research will reveal that these cluster salts work symbiotically and systematically to flush out toxins, dead pathogens such as viruses and bacteria, and pathogenic neurotoxins and debris from every crevice of the body. Neurotoxins, by the way, are created by viruses such as EBV feeding on toxic heavy metals, including mercury and aluminum. Medical science and research are not yet aware that viruses feed on certain fuel, let alone that they produce neurotoxins as waste. Neurotoxins create neurological symptoms, including burning skin, twitches, tremors, spasms, cold hands and feet, balance issues, vertigo, erratic heartbeat, insomnia, and body jerks, that confound doctors. Now that you know that pathogens like EBV are responsible for chronic illness, you can understand just how critical the antiseptic function of celery’s cluster salts truly is. Your white blood cells use these cluster salts as both shield and weapon to go after viruses and unproductive bacteria—and that translates to relief from the numerous symptoms and conditions they cause. Mineral salts are critical for our bodies to function optimally. They keep your kidneys and adrenals functioning and raise your gut’s hydrochloric acid so your body can break down and assimilate what you eat—while they balance your pH as well as cleanse and repair your stomach, the rest of your digestive tract, and, most importantly, your liver. They also allow information to travel throughout your body so it can keep itself in balance no matter what’s occurring. That celery’s mineral salts are such an important support for the central nervous system means they are extremely healing for people who are struggling with depression, anxiety, brain fog, confusion, bipolar disorder, memory loss, Alzheimer’s disease, obsessive-compulsive disorder (OCD), attention-deficit/hyperactivity disorder (ADHD), and posttraumatic stress disorder (PTSD), as well as people who have difficulty with focus and concentration. Celery can really enhance the ability of supplemental GABA, glycine, and magnesium L-threonate to be absorbed by the brain and aid in neurotransmitter performance for sleep support. Celery also improves methylation, that is, the proper absorption and utilization of hundreds of nutrients, including B12 and zinc. The electrolytes in celery hydrate on a deep cellular level, lessening your chances of suffering from migraines, anxiety, panic attacks, and more. Celery also stabilizes and supports the adrenal glands, offers stress assistance, and repairs damaged cells inside the liver. And since celery’s mineral salts are antibacterial, they kill bacteria such as strep, and that encourages a healthy environment for “good” bacteria. Low-grade strep infections are often the actual cause of urinary tract infections (UTIs), chronic sinus infections, acne, IBS, and small intestinal bacterial overgrowth (SIBO), though at this time medical communities aren’t aware that strep infections are involved in these conditions. Now you know that celery juice and its antibacterial properties can help heal all of these conditions, too. If you suffer from a thyroid condition, take note: celery has the ability to cleanse the thyroid of toxins and bolster production of the thyroid hormone T3. For more on the unknown true cause of thyroid problems like Hashimoto’s thyroiditis, Graves’ disease, thyroid nodules, cysts and tumors, enlarged thyroid, parathyroid disease, and much more, refer to Thyroid Healing. Celery’s ability to break down and flush out viruses is life-changing news for anybody who has been told they have an autoimmune disease. Pathogens such as viruses, including EBV and shingles, are the true cause of the inflammation that’s mistakenly considered an autoimmune condition. Medical communities just aren’t aware of the real cause yet. The prevailing autoimmune theory is that the immune system is mistaking a part of the body for an invader and has begun attacking it, causing inflammation. This belief developed because by the 1950s, the medical world had become frustrated with not having an explanation for why conditions such as Hashimoto’s, Graves’, lupus, RA, Crohn’s disease, celiac, ulcerative colitis, and multiple sclerosis (MS) were leaving people ailing or even crippled. Close observation of some patients’ blood work revealed the presence of antibodies. A theory took off that the body had become confused and created antibodies to attack itself. It’s vital to remember that this was just one out of dozens of theories—it was never a definitive answer. The whole premise was an unproven hypothesis that the medical establishment came up with because they didn’t have the real answers for people’s suffering. So they pointed the blame at people’s bodies, which took the blame off of medical research and science, and unfortunately, the theory has stuck and become law. The autoimmune theory is not true. It’s critical to know what’s really happening with autoimmune issues: antibodies are present because your body is fighting a pathogen that scientific testing can’t detect yet. For example, in the case of Hashimoto’s, if antibodies are present, it’s because your body is going after the Epstein-Barr virus. It’s not that your body created antibodies that are attacking your thyroid gland. You can learn more about this in Thyroid Healing. Sadly, the popular, incorrect autoimmune theory holds people responsible for their sickness. It leads people to believe that their body has betrayed them, turned against them, let them down. When you’re leaving the doctor’s office after being told that your body is attacking itself or attacking a specific organ, it can be emotionally damaging, and that belief itself hinders your immune system. Your body is loyal to you. It’s doing it’s very best to help you be whole and healed. It loves you unconditionally. Your own immune system will never harm you, it only works for you. Knowing this truth can kick-start the healing process for someone who previously believed their body was against them. The autoimmune confusion is one of the greatest mistakes in modern medicine. It’s a prime example of why more than 250 million people in the U.S. alone are living with or suffering from mystery symptoms and conditions with no real relief. Which brings us back to why celery juice is such a big deal. As celery ushers pathogens out, your body will be much better able to handle whatever life throws your way. Why is it so beneficial that celery juice strengthens hydrochloric acid in your gut? Because hydrochloric acid is critical to digestion and to keeping your digestive system alkaline. Although we can hear the word “acid” and think “bad,” gastric acids, including hydrochloric acid, are critical, helpful acids, not to be confused with having an acidic digestive system, which is detrimental to health. When you eat, food quickly travels down to your stomach to be digested with the help of hydrochloric acid. Although science hasn’t discovered this yet, hydrochloric acid isn’t just one acid—it’s actually a complex blend of seven acids. If hydrochloric acid levels are out of balance or low, your food won’t be sufficiently digested in your stomach. That means the food won’t break down enough for your cells to access the nutrients, and instead the food will just sit there and rot, causing bad acids to develop. This gut rot, or putrefaction, creates ammonia gas, which has the ability to float, ghost-like, out of your digestive tract and directly into your bloodstream. It can also cross into organs such as your liver and brain. This is what I call ammonia permeability. Another condition that worsens low hydrochloric acid and creates ammonia permeability is a sluggish, stagnant, fatty liver. Underlying liver conditions are extremely common. Medical communities don’t yet know how prevalent they really are or what’s behind these issues in the first place. A sluggish, stagnant, fatty liver causes lower bile production, which means the body can’t break down and disperse fats easily, and that also contributes to gut rot, causing even more ammonia permeability. It is vital to understand how to support your liver as almost everyone today has a sluggish liver which is at the core of countless symptoms, illnesses and premature aging and death. Thankfully, there are simple ways to support your liver’s health. I share these in detail in my book, Liver Rescue. Here’s where our heroic celery juice comes in: It effectively rebuilds the stomach’s complex balance and supply of hydrochloric acid. It also strengthens the digestive system by helping to heal the liver, which leads to an increase in bile production, easing constipation and bloat. Plus by lowering levels of pathogens such as bacteria and viruses and invaders such as fungus and mold, it leads to strengthened intestinal linings. Celery juice is one of the most profound ways, if not the most profound way, to restore digestive health. It is that powerful. We tend to hold a lot of fear in our guts. Nervousness causes those sensations we know as tummy flips or butterflies in the stomach, and anxiety can run deep through the nervous system, putting our guts in knots. By restoring the entire digestive system, celery juice puts our minds and hearts at ease, too. Use it for its calming effects when you are feeling frightened, panicky, shocked, fretful, nervous, threatened, unsure, afraid, or defensive. I could go on and on about the benefits of celery juice for all manner of ills—mental, physical, spiritual, emotional. Celery juice is alkalizing, enzyme-rich, electrolyte-enhancing, liver-repairing, blood-sugar-balancing, antiseptic, and more. Don’t let the simplicity of humble celery mask it’s strength—it’s often the simplest of measures in life that gracefully work wonders in the most complex situations. Celery juice truly is a miracle juice. It’s one of the greatest healing tonics of all time. * Every morning, drink roughly 16 ounces of celery juice on an empty stomach. Make sure it’s fresh, plain celery juice with no other ingredients. Celery juice is a medicinal, not a caloric drink, so you’ll still need breakfast afterward to power you through the morning. Simply wait at least 15 minutes after drinking your celery juice before consuming anything else. * If you’re sensitive and 16 ounces is too much, start with a smaller amount and work your way up. * Use organic celery whenever possible. If you’re using conventional celery, be sure to wash it especially well before juicing. * If you find the taste of straight celery juice too strong, you can juice one cucumber and/or one apple with the celery. This is a great option as you get adjusted to the flavor. As you get used to it, keep increasing the ratio of celery; the greatest benefits come when celery juice is consumed on its own. Plain, fresh celery juice is one of the most powerful healing juices available to us. This clean, green drink is the very best way to start your day. Make this juice a part of your daily routine, and soon you won’t want to go a day without it! Rinse the celery and run it through a juicer. Drink immediately for best results. Alternatively, you can chop the celery and blend it in a high-speed blender until smooth. Strain well and drink immediately. I hope you will find a way to bring celery juice into your life soon—doing so will help bring you the healing you deserve. I wish you many blessings on your journey. Finally, the missing link to get your life back. Celery juice is everywhere for a reason: because it’s saving lives as it restores people’s health one symptom at a time. 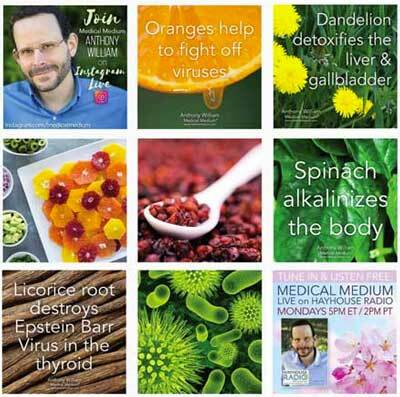 From celebrities posting about their daily celery juice routines to people from all walks of life sharing pictures and testimonials of their dramatic recovery stories, celery juice is revealing itself to ignite healing when all odds seem against it. What began decades ago as a quiet movement has become a global healing revolution. When we hear the advice, “Eat your veggies,” we often think of classic dinnertime side dishes like carrots, broccoli, peas, and green beans. Leafy greens, on the other hand, are often written off as boring and lesser—the base of a salad in which all the other ingredients are much more interesting. Really, leafy greens such as lettuce, spinach, Swiss chard, mâche, and watercress deserve accolades for the power they hold to restore your health. Far from blasé, salad greens are vegetable royalty. One common misunderstanding is that eaten raw, these greens, labeled “roughage” are difficult to digest. On the contrary, leafy greens are practically predigested and therefore require very little work on the part of your digestive system. What does occur is that these leaves scrub and massage the linings of your stomach, small intestine, and colon, loosening old, trapped yeast, mold, and other types of fungus, along with debris and pockets of waste matter, so they can be carried out, making elimination very productive. Discomfort from eating raw salads is usually due to sensitive nerves or inflammation in the intestinal tract, or the simple sensation of fiber doing its job to “sweep out the chimney.” If this describes you, add butter leaf lettuce, red leaf lettuce, and/or spinach to your daily diet in small amounts. Over time, leafy greens are wonderful healers of intestinal disorders. They help create a more alkaline stomach composition by raising beneficial hydrochloric acid levels, which in turn kills off the unproductive bacteria that create the bad acids responsible for GERD and other forms of acid reflux. One of the specific types of bacteria that leafy greens reduce is H. pylori, which is often responsible for stomach ulcers. Leafy greens create true alkalinity in the body systems, especially the lymphatic, which can become the most acidic system due to a barrage of chemicals, acids, plastics, pesticides, heavy metals, and pathogens constantly entering the lymphatic passages. Medical communities are unaware that alkalinity of the blood, organs, endocrine system, reproductive system, and central nervous system hinges completely on the lymphatic system being alkaline. Leafy greens help to expel, purge, and drain the lymphatic system of these toxins so that it can remain alkaline. This is where these greens really have a critical role in our healing process. Leafy greens also hold precious and vital mineral salts, partially composed of a group of cofactors associated with sodium, such as trace bioavailable iodine, chromium, sulfur, magnesium, calcium, potassium, silica, manganese, and molybdenum, which are critical for neurotransmitter and neuron support, and are also the fundamental basis of building electrolytes. On top of which, leafy greens are high in enzymes, vitamin A, B vitamins such as folic acid, healing alkaloids (plant compounds that fight disease), micronutrients for restoring the endocrine system, and forms of chlorophyll and carotenes that are specific to these vegetables. This unique group of nutrients works together to feed all organs and body systems, making leafy greens a foundation of our health. Leafy greens are antiviral, antibacterial, and anti-mold—and great for staving off every one of the Unforgiving Four. While they don’t have carbohydrates to sustain our energy, they cover the other side of the equation necessary to keep us alive, and to stave off disease and chronic illness. If you worry about getting enough protein, fret no more. Leafy greens have the most bio-available and assimilable proteins you can find, readily available for your body to take up. Leafy greens help reverse all protein-related diseases, such as gout, kidney disease, kidney stones and gallstones, gallbladder disease, hepatitis C, lymphedema, connective tissue damage, osteopenia, osteoporosis, osteoarthritis, and heart disease, which all arise from protein sources that are not breaking down or assimilating, and are instead causing deterioration of the body. The next time you hear someone refer to a salad as “rabbit food,” remember what you’ve just read. Leafy greens are anything but a joke. When your body is filled with toxins on a physical level, it can lead to toxic buildup on an emotional level. So many people feel stuck, stagnant, confined, lost, or otherwise held back in life. Leafy greens are a way forward. Just as they flush out physical debris, they loosen stored-up toxic emotions and guide them out of your life. Adding more leafy greens to your diet can be an incredibly freeing experience, helping you to feel clean and clear again—your rightful state of being. How many times have you missed a window of opportunity? Time can slip by so fast, and before we know it, the birthday wishes we’re sending a friend are belated, or we’re getting to the beach when the tide is too high to enjoy it. Leafy greens teach us to seize the moment. Their short shelf life means that the earlier we eat them after they’re picked, the better they are for our health. Getting in tune with this awakens us to the other fleeting moments of life— the other opportunities to nourish ourselves on every level if only we have the presence of mind to recognize what’s in front of us. * Create a schedule for leafy greens, so that you feature a different green in your salad (or other meal) each day of the week. This can be a fun way to ensure that you’re getting variation for maximum nutritional benefits. * If you find raw greens too difficult to chew, try selecting one to juice along with cucumbers or celery. * For another nutritious green drink, blend spinach with fresh-squeezed orange juice. * Try growing your own greens. This will not only give you the chance to take advantage of their powerful natural probiotics (see the chapter “Adaptation” for more on these elevated biotics); it will also mean that they grow specifically for your benefit, as though your name becomes written into each leaf. * When growing your own greens, try to pick some at an early phase of development. Eating them at this stage prepares your body to receive even more of the greens’ benefits later on, when they become full-grown. * Lettuce leaves make great alternatives to tortillas. Try filling them with your desired ingredients for taco- or burrito-style roll-ups. * If you avoid avocado because you dislike the texture, try making guacamole with an ample amount of chopped mâche and a tablespoon of raw honey. This will alter the texture at the same time that it adds the greens’ nutty flavor and the honey’s sweetness to the dish, changing your avocado experience. Over time, eating this special guacamole will alter your avocado aversion, leading you to enjoy avocado on its own. This simple salad is full of flavor and perfect for lunch at work. Just keep the dressing separate until right before eating, and you can enjoy a delicious, vibrant lunch right at your desk. Make sure to look for raw pistachios if you can. They’re tender and absolutely perfect alongside the sweetness of the strawberry and the brightness of the lemon. For the dressing, blend the lemon juice, olive oil, and honey until smooth. Toss the leafy greens with the dressing in a large bowl until the greens are evenly coated. Divide the salad into individual bowls. Top with the strawberries and pistachios. So many people go through life with chronic dehydration, with no idea of the negative effect it’s having on their health. Cucumbers are the perfect antidote. They have a fountain-of-youth effect, hydrating us at the deepest cellular level possible. Plus, cucumbers’ cooling effect makes them excellent at rejuvenation and especially effective at cooling a hot, stagnant liver. When eaten on a daily basis, cucumbers can reverse liver damage, dialing back 10 to 15 years of toxin exposure (including from heavy metals and pesticides such as DDT) and poor diet. It makes this vegetable (really, a fruit) a particular ally in reducing bloat. Fresh cucumber juice is the best rejuvenation tonic in the world. It contains electrolyte compounds specifically geared toward nourishing and cooling down overused adrenal glands and kidneys that are struggling with their task of filtering out toxic debris and getting overheated from toxic uric acid. If you have kidney disease, are on dialysis, or you’re missing a kidney, drinking cucumber juice every day can be extremely beneficial. Cucumbers’ cooling effect on the glands and organs also makes them wonderful fever reducers for both children and adults. Juicing cucumbers unleashes their magical anti-fever compounds and agents that help calm a fever like water on a fire. Cucumbers’ traces of the amino acids glycine and glutamine, combined with their extreme and highly active content of enzymes and coenzymes, plus their abundance of more than 50 trace minerals, make them an excellent delivery system for neurotransmitter chemicals. This is great news if you’re dealing with anxiety or other neurological conditions. Cucumbers provide other critical nutrition, too, such as chlorophyll in their skins that’s bonded to B vitamins and vitamins A and C. And cucumbers support digestion; they contain undiscovered coenzymes that will one day be called talafinns. Alongside enzymes that have been discovered by medical research (such as erepsin), talafinns help the body’s protein digestion process so you can get the most out of everything you eat. There’s a reason we use the expression “cool as a cucumber.” If you or a loved one are dealing with an anger issue, bring cucumbers into the diet. Offer cucumber slices to anyone who you know can be easily infuriated, disgruntled, crabby, cranky, irritated, heated, or down-right hostile. Because they’re green and we eat them in salads, we often think of cucumbers as a vegetable. When we open one up, though, we remember that all those little seeds mean a cucumber is truly a fruit. It’s a powerful reminder that outside appearances and the boxes other people put us into don’t make up the full truth of who we are. Very often we, too, have a talent, quality, or gift that someone couldn’t guess just by looking at us. Cucumbers teach us to look deep inside ourselves and each other for the miracles we all contain. * For results you can see, try to eat two cucumbers daily. * Instead of juicing a multitude of vegetables and fruits at one time, try juicing cucumber on its own. Like celery juice, straight cucumber juice has unique healing qualities. If you drink 16 ounces of pure cucumber juice on a regular basis, it can have a life-changing effect. * If you’re trying to keep grains out of your diet, turn cucumbers into noodles with a spiralizer or julienne peeler. Cucumber noodles are more hydrating and tastier than the more popular zucchini noodles. Try English cucumbers for best noodle results. * When using conventional cucumbers, make sure to peel off the skin before eating to avoid consuming the toxic wax coating. This clean, cool noodle bowl will leave you feeling light and refreshed. The Asian-inspired flavors of lime and sesame are tossed with cucumber, carrot, and cashews in a beautiful mix of color and crunch. This nice, mild dish can easily be made spicier by adding extra red pepper flakes at the very end to find your perfect flavor. You’ll end up with a bowl that is just as beautiful as it is delicious. Cut the cucumbers and carrots into thin strips using a julienne peeler, knife, or spiralizer. In a large bowl, toss the cucumber and carrot “noodles” with sesame oil, sesame seeds, lime juice, and red pepper flakes, if using. Just prior to serving, top the mixture with chopped cilantro, basil, and cashews. Enjoy! Excerpt from the #1 New York Times bestselling book Life-Changing Foods. Healing Benefits of Spirulina - Spirulina (https://vimergy.com/products/usa-grown-spirulina) is often deemed the most nutritionally complete of all foods and has countless uses as a supplement for maintaining good health an..
10 Health Benefits of Celery Juice - 1. Critical for chronic acid reflux Acid reflux means 3 things are happening: low hydrochloric acid production, unproductive bacteria such as strep and e. Coli & a weakened liver. Celer..
12 Reasons To Drink Celery Juice - 1. Lowers Inflammation Celery juice starves the unproductive bacteria and viruses that are behind inflammation. 2. Supports Weight Loss Celery juice helps to clean up and detoxify t..
Roasted Eggplant with a Tomato Cucumber Salad - This combination of fresh juicy tomatoes, cucumbers and herbs piled on top of pip-ing hot baked eggplant makes for a heavenly meal for lunch or dinner. This recipe is very simple to make, mak..
Nacho Cheese Fries - Humble potatoes are an amazing food not only for health (when served without butter, bacon, sour cream, rancid oils and the like,) but also because of the satiety they offer and the variety o..
Healing Power of Wild Berries - I have been a fan of wild berries since I enjoyed picking them as a child in Maine with Spirit telling me about their undiscovered healing properties and which ones I could eat safely and whi..
Avocado Caprese Salad - This delicious and beautiful twist on a caprese salad may just have you envisioning yourself at an Italian trattoria on a cute cobblestone street. Instead of the traditional mozzarella, this .. Plum & Almond Salad - Eating plums on a regular basis can help bring benefits such as improved vision, healthier skin, healthy brain functioning, regulated digestive tract, reduced inflammation, resistance against.. Lemon Balm Popsicles - Popsicles are such a fun way to sneak in healing ingredients. In this recipe, the incredible herb lemon balm is the star, with the raw honey, lemon juice, and ginger also in lead roles in the..
Arugula Nectarine Salad - Arugula and nectarine are a match made in heaven in this fresh, juicy salad. With just the right amount of spice from the arugula and some crunch from the pistachio nuts and romaine, it’..
Celery Juice 101 - If people knew all the potent healing properties of celery juice, it would be widely hailed as a miraculous superfood. Celery has an incredible ability to create sweeping improvements for all..
Sweet Pea Dip - This wonderful dip is rich in flavor, creamy, hearty and satiating. It tastes fantastic scooped onto vegetable crudités like celery, cucumber, radishes, asparagus, cauliflower, tomato ..
Watermelon Gazpacho - The combination of sweet watermelon with savory herbs, garlic, and tomatoes makes this raw Watermelon Gazpacho burst with flavor. Refreshing and deeply hydrating, this gazpacho is a perfect l..
Cucumber Noodles with Chunky Tomato Sauce - Cucumber noodles are an easy and delicious way to reap the many healing benefits of this special fruit. Topped with a chunky sauce of fresh, juicy tomatoes, flavorful garlic, and fragrant bas..
Watermelon Tart - Changing up the way you eat your fruits and veggies can make all the difference when you are choosing to eat a healthier diet. This pretty and fun Watermelon Tart gives you a new and unique w..